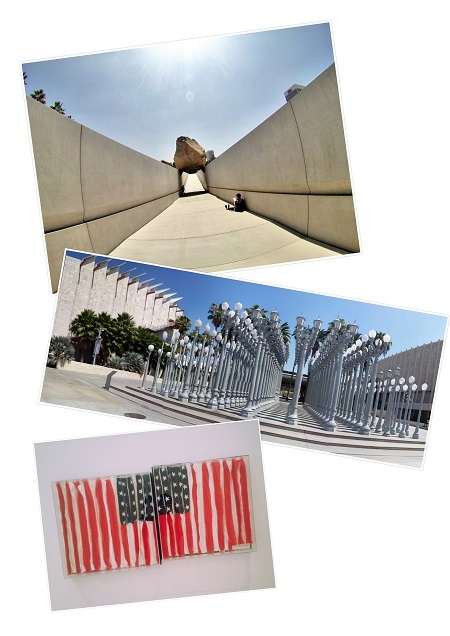 A Morning at LACMA – It's With a "K"
I’ve lived in Los Angeles all my life and as a child frequented the La Brea Tar Pits. Who knew that right next door was all of these hidden treasures. I’ve driven by Chris Burden’s “Urban Lights” more times than I can count and it was a nice way to spend the morning. I would say be sure to set aside at least 2.5-3 hours to get around the property. A nice place to take family or friends from out of town. Definitely worth the entrance fee – they often have free days so look out for that as well. My highlights were the “Levitated Mass” and seeing a real-life Monet.